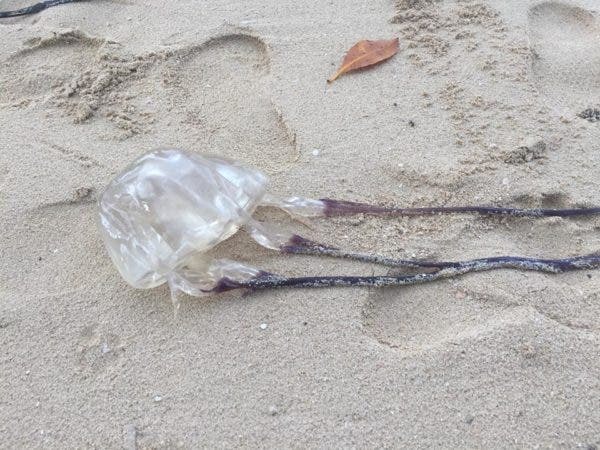 It may no longer be summer in the Philippines, but the aggressive box jellyfish, one of the deadliest creatures in the world, is expected to be visible in the shores this time of the year. A statistic showed by Mens Health reveals that about 20-40 people from the Philippines alone die from its sting. It can kill a human in less than ten minutes – even actress Anne Curtis experienced a near-death experience while filming in the waters of Batangas last 2014 from a box jellyfish sting. 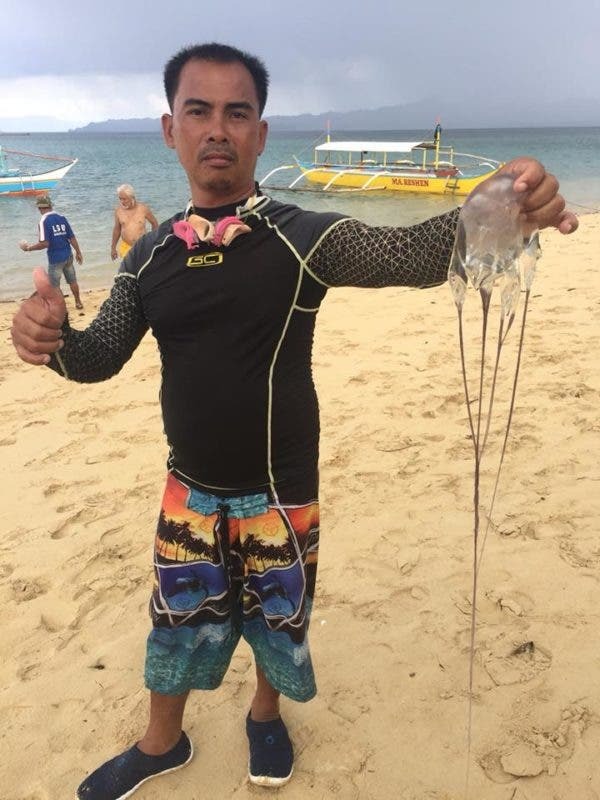 After the recent demise of a 7-year-old Italian-Filipina swimmer caused by stepping on a box jellyfish by accident in Sabitang Laya island (Caramaoan, Camarines Sur), Rappler reports that the country vows to “boost tourist safety”, including “an advisory regarding preventive steps and emergency response” set to be issued to all stakeholders in the region. 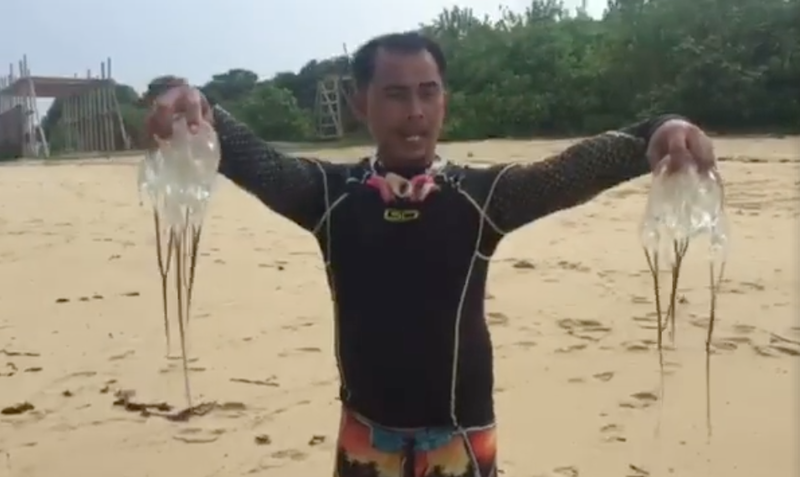 Traveler Rey de los Reyes shared on his Facebook page that during a recent vacation at the beach, he was educated by a certified tour operator and coordinator about the deadly box jellyfish. 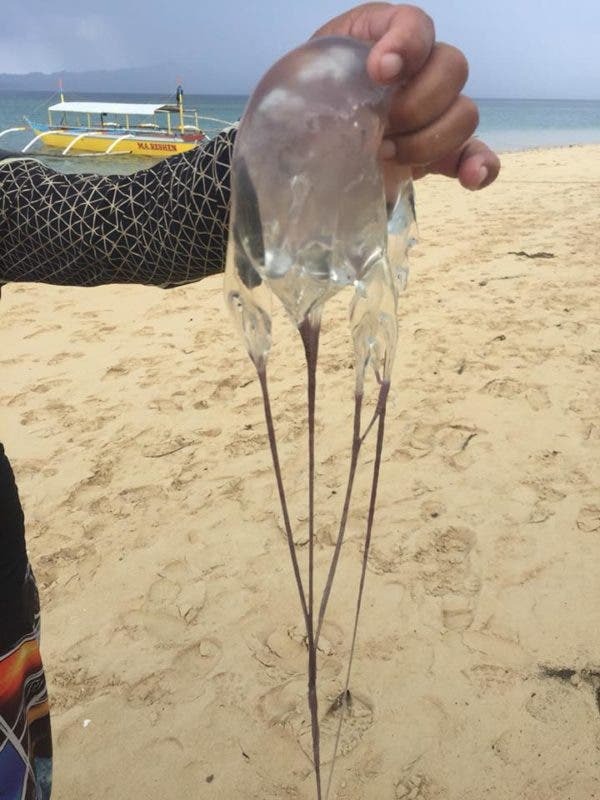 Let’s be cautious when we visit the beach, since it’s now box jellyfish season. These are the jellyfishes we caught at Sabitang Laya island located at Caramoan [Camarines Sur]. These creatures are dangerous and many die because of the venom of the box jellyfish. If you are planning to go to Caramaoan, make sure that you hire a legitimate tour operator. It’s also important that you have a trained and licensed local tour guide to assist you. Most importantly, it’s important you have a first-aid kit with you when you go on tours especially during island hopping. de los Reyes also shared a video of his tour guide Rene Imperial educating him about box jellyfishes, holding one in each of his hands. “This is how big the jellyfishes are here nowadays. 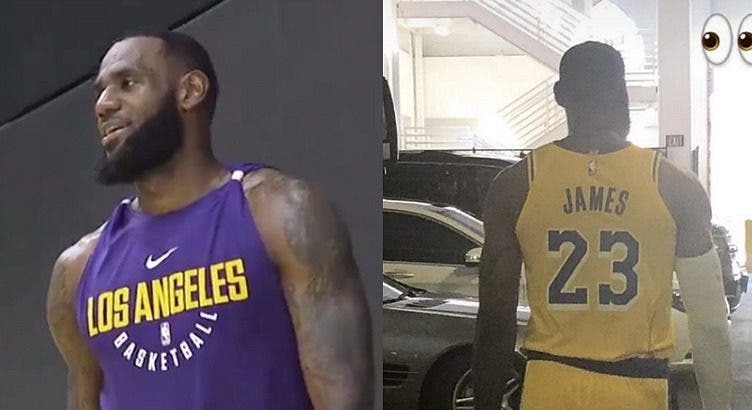 To my fellow tour guides, please be aware if you are taking care of tourists or guests, please make sure none of these comes near them. 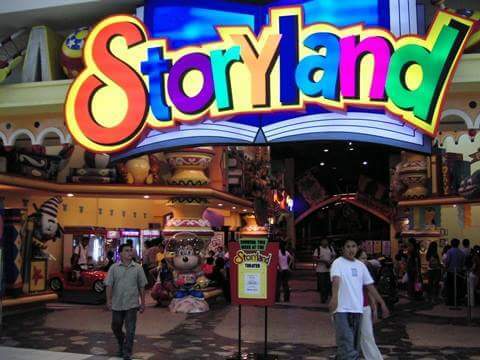 Just recently, the other day, last week, someone already died because of these creatures,” he says in Filipino.